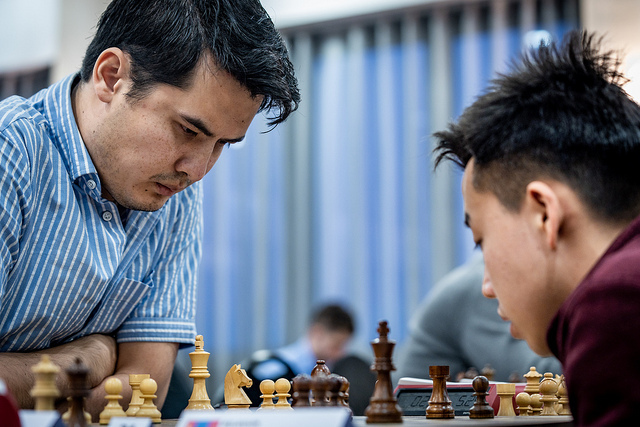 David Navara is the only top 10 seed on 3/3 after three rounds of the 2019 Gibraltar Masters, with stars such as Hikaru Nakamura and Yu Yangyi already having been held to two draws. 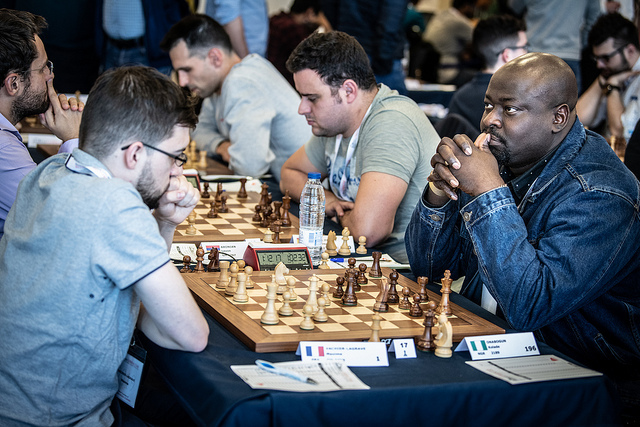 Iran’s Sarasadat Khademalsharieh stands out among the five players on a perfect score after defeating 2600 grandmasters in Rounds 2 and 3, while untitled Kolade Onabogun from Nigeria was the GM-slayer of the first two rounds. 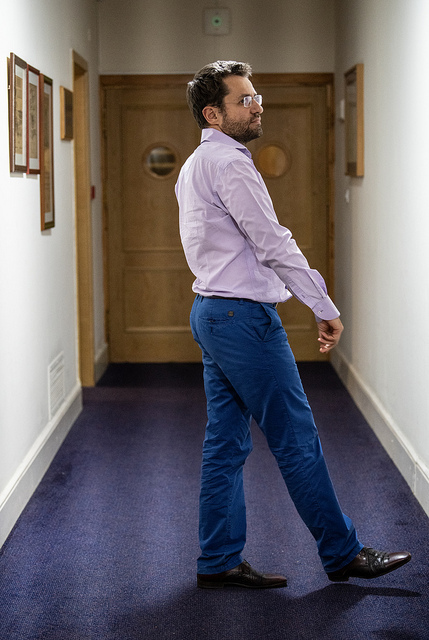 Tania Sachdev conducted a fascinating long interview with Levon Aronian, while Emil Sutovsky announced that the top events in the World Championship cycle have finally been prised from Agon’s grip. 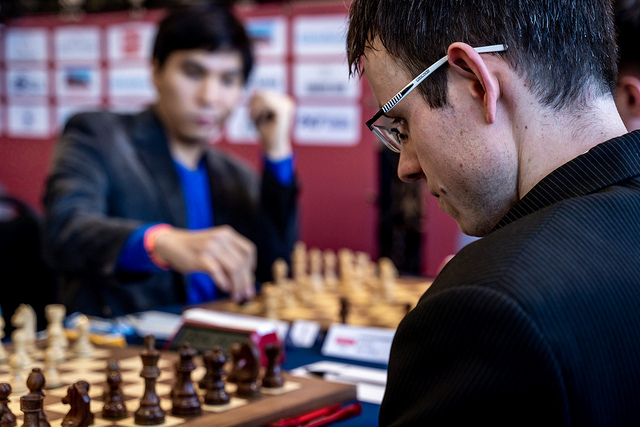 Big open tournaments such as the Gibraltar Masters stand out for pitting chess royalty, the likes of Maxime Vachier-Lagrave, Levon Aronian and Hikaru Nakamura, against players they’d never meet in elite invitational tournaments. On the one hand we’ve seen time and time again that the elite are the elite for a reason, and in the final rounds they’re the ones contesting the big prizes, but that doesn’t mean the vast ranks of chess professionals aren’t capable of striking blows and frustrating their higher rated opposition. That second column shows the seeding number with which the players began the event, with only David Navara among the favourites. 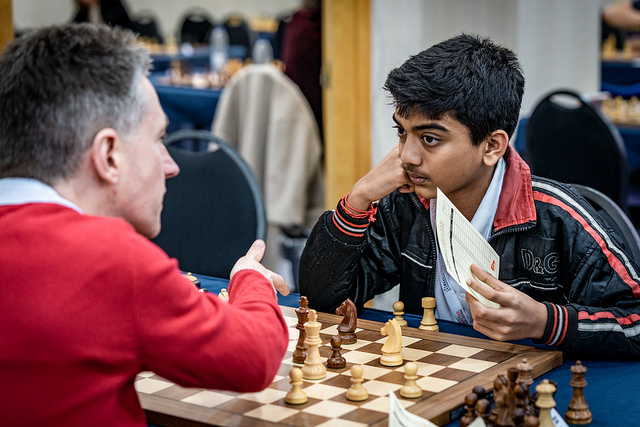 It’s not that the top players have suffered too many disasters, since the likes of So, Aronian, Naiditsch, Vitiugov, Ivanchuk, Adams and MVL are among the 40 players on 2.5/3. On the other hand, Hikaru Nakamura failed to win his first game for the first time since 2007, a draw against 2390-rated FM Vaso Blesic from Serbia, and then also drew the next game against 2405-rated IM Andres Merario from Spain. World no. 12 and 4th seed Yu Yangyi also started with two draws. 59…Rxc3+! was a bolt from the blue, with the point that after 60.bxc3 b2! the pawn can’t be stopped. They played on to move 81, but there was no salvation for White. 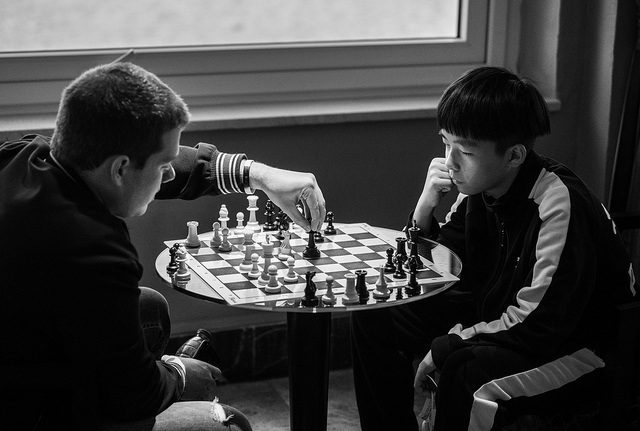 There’s no Hou Yifan in Gibraltar this year, but 13-year-old 2298-rated Chinese CM Zuo Yifan is having an impressive start. He was under pressure from the talented young Spanish GM Jaime Santos (2581) until the latter played 41.gxf4? 41…Qxg2+! provoked resignation, with a knight fork on f4 to follow. Zuo Yifan went on to build on that start with draws against women’s world no. 5 Humpy Koneru and 2528-rated IM Evgeny Zanan from Israel. 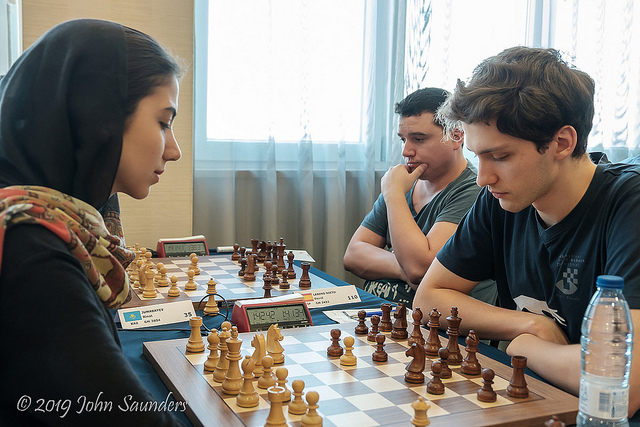 Among the current leaders 94th seed Sarasadat Khademalsharieh stands out, as the Iranian star has continued her fabulous recent form (she won a cool $69,000 in the St. Petersburg World Rapid and Blitz!) by beating two grandmasters in the first three rounds. Simon Williams on the live commentary was trying to get 33.Re4? to work, but it turns out that loses to 33…Qxe4 34.Qxe4 Rxe4 35.Nxe4 and the crucial 35…Bd4+! Sarasadat instead calmly played the crushing 33.Qf2!, targeting c5, f6 and f7, and never looked back. The Iranian points out her “secret” has been to do almost no work on chess after recently getting married! That has to be good news given Agon’s history of offering the minimum prize funds while antagonising the whole chess world. They sued chess24 over showing chess moves in cases they lost in the Russian Supreme Court and a US Federal Court in New York, and we can hope they'll no longer be in a position to bully the chess world. We can still only hope, however, since they will be in control of the new FIDE Grand Prix knockouts in 2019 and 2021, and an article on the FIDE website suggests we’re far from seeing an end to their influence. 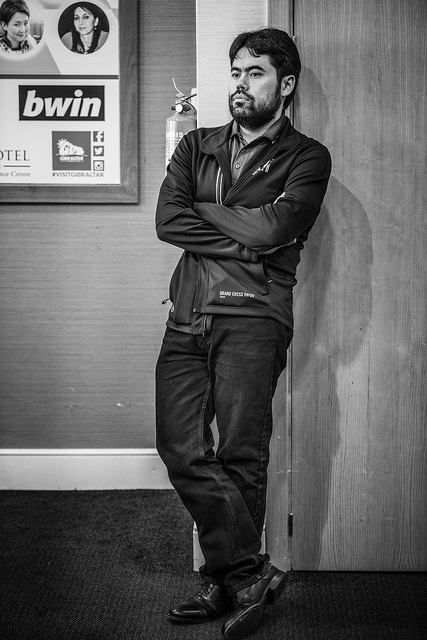 Levon talks about how much he wants to win the World Championship, and about his Candidates Tournament failures. What about Magnus? I personally believe I can play well against Magnus, but it requires a lot of attention, because he’s one of those players who’s always there. He’s waiting for a mistake. He knows that the people are not going to play continuously well, because that’s what his strength is - his average move is much stronger than anybody else’s average move. He copied Bobby and Karpov’s approach: to play chess without really thinking about the objective assessment of the position. That’s very important! Just to play good moves, without really thinking that I’m better, I’m worse or I want something. Playing chess without wanting is very important. I can say I’m very romantic, although nowadays for most of the people it’s a sign of being vulnerable, but I don’t feel vulnerable. I’m there to fight, but also to appreciate beauty. What three characteristics from three players would make a perfect chess player? Fabiano’s diligence, Magnus’ attention to detail and precision… and my swagger! Defending Champion Levon Aronian has started with 2.5/3 and you can follow his adventures each day with live commentary from 15:00 CET live here on chess24!